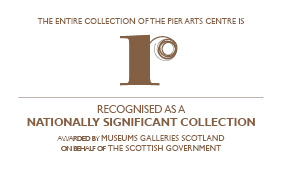 A special film screening of artists’ films will be presented at the Pier Arts Centre at 6pm on Friday 6 June. The programme for the event includes new and classic experimental films that tie in with the current exhibition Living Colour – artists’ animated films which is presented in partnership with McLaren 2014 celebrating the centenary of the birth of pioneering Scottish/Canadian artist and filmmaker Norman McLaren. The event will include short films by the Orcadian filmmaker and poet Margaret Tait, Norman McLaren and Simon Payne. The films in the programme use unique methods and processes of filming, printing and sequencing to produce colourful visionary images and lively, often musical, soundtracks. The event will be introduced by Simon Payne, Senior Lecturer in Film and Media Studies at Anglia Ruskin University Cambridge.